The end of the season has flown by. 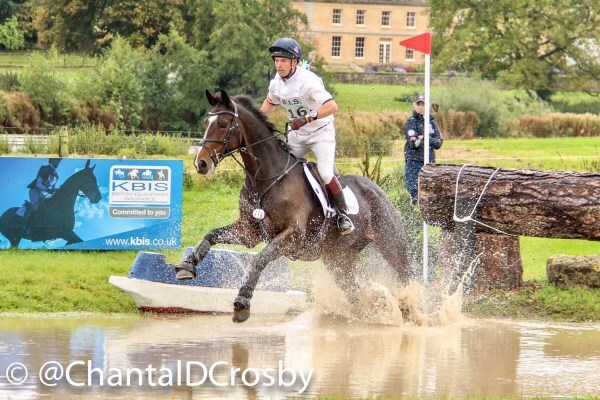 Since Burghley we've had a busy final run of events with lots of horses competing at Gatcombe, Pontispool and Osberton, and we finished in the UK with a few of the younger horses at Calmsden. We then headed out to France for the Young Horse World Championships at the stunning Le Lion d’Angers with the 7 year old mare Cavalier Crystal. Having had a remarkably dry season we had a proper soaking at Gatcombe. I was thrilled with Cavalier Crystal who finished 2nd in the Intermediate having lead after the dressage and show jumping, despite a quiet run cross country. We didn’t run Freestyler, Red Kite or Gideon, as none of them were in great need of a run and the ground had deteriorated badly by the end of the day when they were due to go. It was my first event with Freestlyer so it was very pleasing that he led his section after the dressage on a score of 23, and Red Kite & Gideon both did super tests to score 27 a piece. Coupled with Cavalier Crystal’s 2nd place it was a sodden but encouraging day! 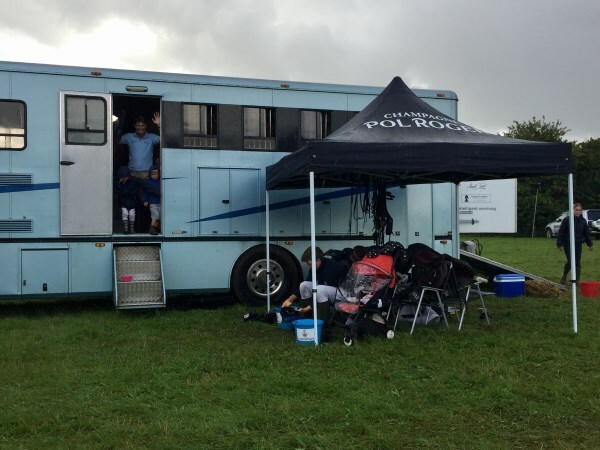 We had a good time in Somerset at Pontispool where Monbeg Medlar and Cavalier Crystal felt great in the Intermediate, both scoring 29 in the dressage and jumping very confident rounds in the show jumping and cross-country before their trip to Osberton. 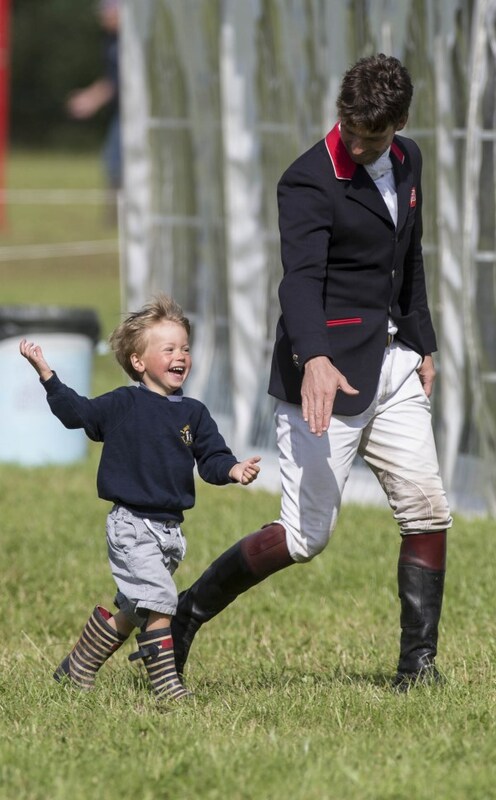 The BEDE team put on a superb event at Osberton and it seems to get better every year. The Nottinghamshire courses had been largely revamped and there was a range of evening entertainment which gave the event a fun atmosphere. Red Kite and Gideon both performed well in the 6 year old Championship although one rail each in the show jumping put them out of the top placings. Seven year olds, Cavalier Crystal and Monbeg Medlar both got a little tense in the dressage so were slightly off the pace compered to what they can do. Disappointingly Monbeg Medlar, who is very horse shy, had a nasty experience in the show jumping warm up when a wayward horse collided with him just before going into the arena, he cramped up and booted out more poles than he’s had in the rest of his career combined! Thankfully he felt his usual capable self across country and Cavalier Crystal produced another super double clear. We headed out to Le Lion with Mary King who was ably assisted by her daughter Emily and mother Jill. It was a great week and a wonderful event to end the season with. It’s located in the Loire Valley, in a stunning spot on the edge of town of Le Lion d’Angers. The event has turned up some well know starts over the years but is equally known for its course being a work of art. The sculpted fences were very impressive and the huge crowds create an atmosphere that you don’t get in England until the very top level. It was a real eye opener for young horses. Cavalier Crystal had an uncharacteristic run out jumping out of the water, never getting her eyes on the corner. It was her first cross country fault so naturally was rather disappointing. However, she did feel very capable throughout and I am sure she’s a horse with a bright future. As soon as I was home from Le Lion I had a series of back-to-back clinics for a three weeks. It’s fairly full on but I enjoy the change of scene and find it really rewarding to see the improvement in the pupils’ riding. Above photo: Gatcombe was horrendously wet but nice horses keep everyone smiling - just! Above photo: While we were away at Osberton the team at home did a steller job dotting 'I's and crossing 'T's in a forensic yard sort out. Photo: Cavalier Crystal locked onto her target at Osberton. Above photo: Red Kite cruised around the six year old track. Above photo: Cavalier Crystal in action at Osberton. The teddy on my back is a called 'Tomberry', one of Hannah Francis's Willberry ponies which belonged to the late event rider Tom Searle, to help raise funds for a mental health charity in Tom's memory. Above photo: Red Kite sunbathing on his Caviera matress - they are now supplying us with bedding - in the sun trap barn that the horses love. Above and below: Jess puts the final touchs in place before she lets me near! Above photo: the scariest fence on the course for all the wrong reasons! Above photo: Cavalier Crystal did amazingly well to survive this moment. She pulled off a shoe after fence two and subsequently had several near misses on greasy turns. This was a less than enjoyable moment as she slipped and nearly went down a stride before the fence, but she never took her eye off the fence and managed to stay inside the flag and on her feet. 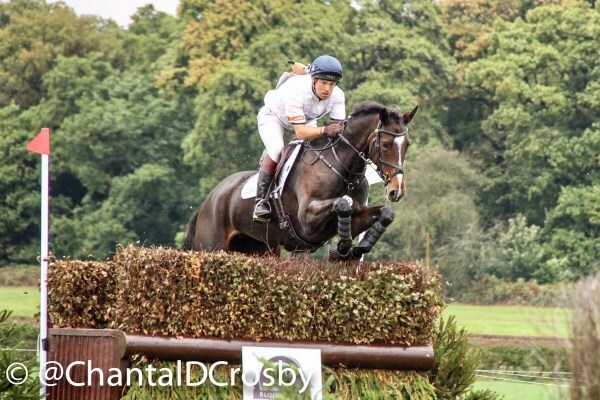 Above photo: Away Cruising - a far cry from Burghley!